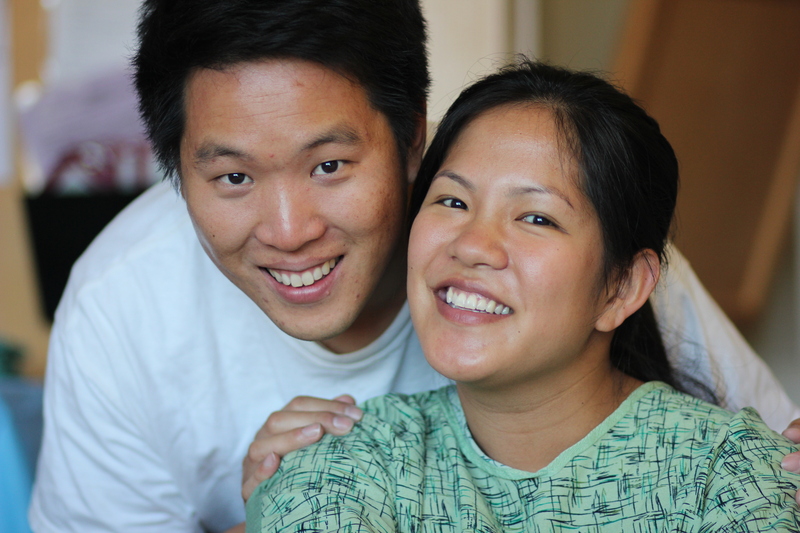 Home / Family / Our Birthing Story!! Sorry this hasn’t gone through much of a grammatical review. Being also a new mother.. my brain feels like crap so please bear with me if this may be hard and perhaps REALLY long to read :). Looking at him, I still can’t believe that only a few months ago, I was still carrying him in my belly. Time went by so quickly. I think it was definitely God’s grace that everything went so easily and smoothly during this pregnancy – especially having lost the first one through a miscarriage. I could only hope and have faith that everything would go perfectly, if God so willed, during his birth as well. Being a first time parent, buying the things the baby needed was easy. Crib and bassinet or pack-n-play? Check! Clothing? Wait till after the baby shower! Breast-pump, bottles and breastfeeding cover? Check! Induced and maybe then an epidural or not? It’s hard to know what to expect. And even though many people said there is no shame in using an epidural, for me, there was really only one choice, one route for me. More so, it was for my baby’s sake as well as for my own curiosity as to how much my body could take. For me, as long as the baby’s life wasn’t at stake and I was physically capable, unmedicated/natural birth was the only option for me. I believe that our female bodies were created to handle natural birth. As to how, I really didn’t understand until after the matter. But at that time, the only doubts and questions I had in my mind were firstly, would I be able to “pull off” my choice of a natural/unmedicated birth? Would my body be able to handle the fated “pains of childbirth” that Genesis 3:16 so said? Would everything run smoothly in that I would be able to do natural birth without interference of any kind? Coming from someone who has never broken a bone or felt any pain through injury, this was going to be a decision as well as an experience of a lifetime. Because I knew how big this choice was, I made sure I would be as prepared as possible. 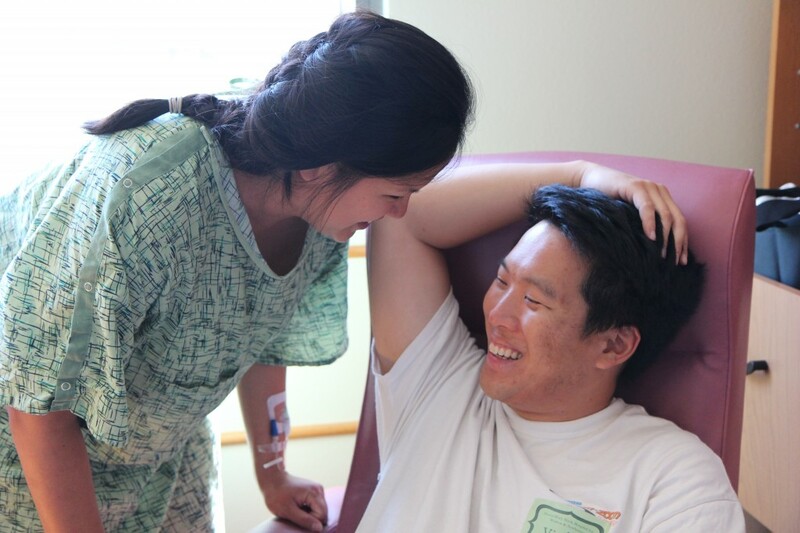 After reading and talking to a friend about how beneficial it was for her to have a doula by her side while going through her first natural birth, we decided to also hire a doula – which was such a surprise to me that Andrew would agree on this. Recommended by our doctor, we hired Leigh Fenly of Tranquility in Birth. 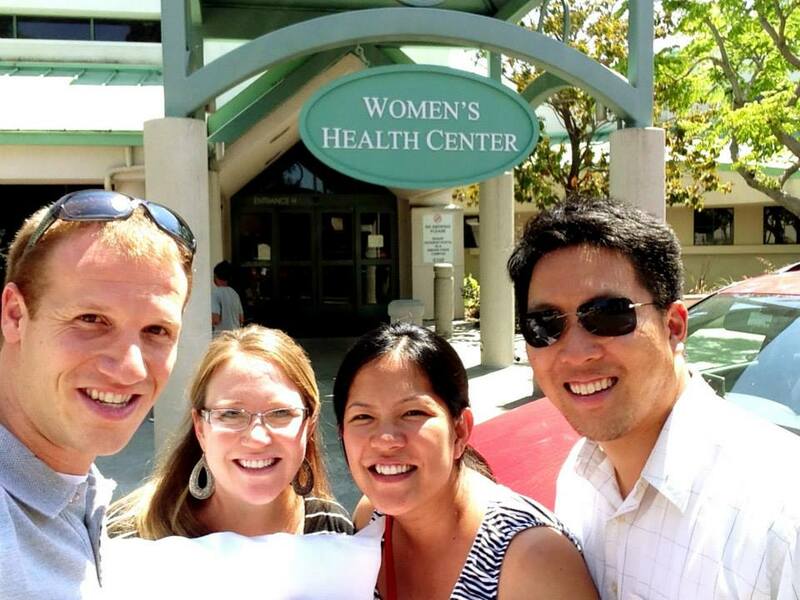 With Leigh, we wrote up our birthing plan and got to talk about what we wanted for vaccinations. Funny thing is, we were supposed to meet up with Leigh again, a third time, to go over what to expect during labor – birthing positions and breathing techniques I could use during labor – but unfortunately that never happened. Well, it did happen, but it happened during labor instead of before. Go figure! So whatever knowledge we gained about what to expect before going to the hospital- 5/4-1-1 was the most important – and during labor – the different stages of labor – we got from our birthing class at Grossmont and the really detailed and full of information booklet that we got to walk home with after our birthing class at Sharp. This class was amazingly fun because we took it with another couple that we were close to and also pregnant with their first. Funny thing is, they were expecting at the same time we were – more so they were supposed to be ahead of us in regards to due date. Monthly, Weekly Doctors Visit & Chiro?? 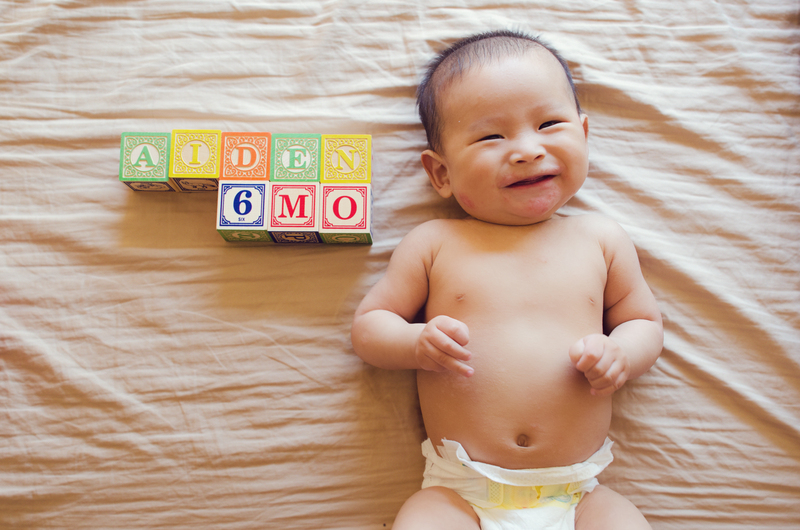 Next to my monthly, then weekly, checkups with my OBGYN, I believe that going to the chiropractor was probably the second most important part that led to my having such a semi-smooth birthing experience with Aiden. At around mid-pregnancy, I started going to see Alyssa Cannon at Pure Life Wellness Chiropractic twice a week. There, she performed the Webster technique on me (for more info, please go to: https://icpa4kids.com/about/webster_technique_history.htm). But simply put, the Webster technique focused on pelvic and sacral alignment, as well as the loosening of the round ligament – a ligament that supports the uterus and is only present during pregnancy. All these adjustments, together, helped to encourage and provide the baby with an unobstructed route through, as well as ample space to move around during the pregnancy – which in turn allows the baby enough room to turn to the right birth position when ready. Because these adjustments were so effective – in terms of my overall well-being – I definitely looked forward to my appointments every week. Carrying a baby is no simple task. And with the adjustments, I always came out of the office feeling like new – especially since my hips were bothering me almost every week. Right Womb Orientation and Dilation? Check! Baby’s possibly coming soon! 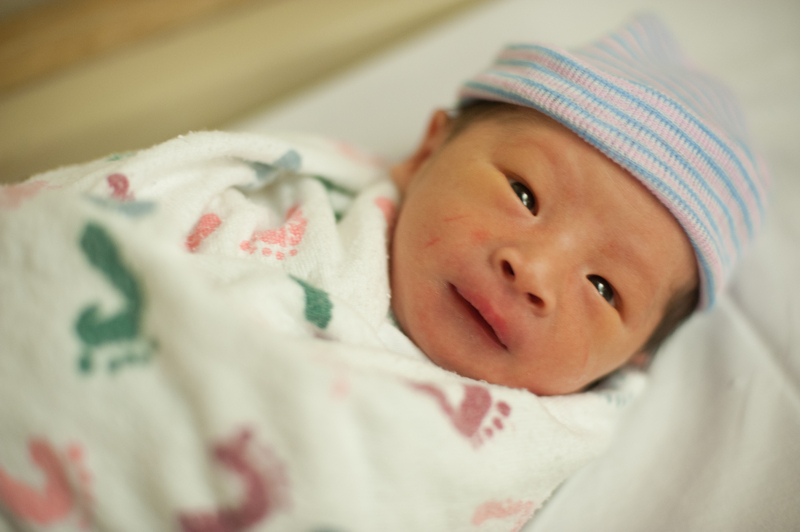 At the end of my pregnancy, I began to worry about the baby’s orientation in the womb. Some mothers could often tell where the baby is, but for me, I felt like the baby was ALL OVER THE PLACE! I was also hoping that all my chiropractic appointments had paid off. So, I had to find out whether or not the baby was facing the right way. And if the baby wasn’t facing the wrong way, we would have to evaluate all the options and to prepare for that possibility. So finally, Monday, September 16, during my 36 week appointment – also the appointment where the first dilation is checked – I finally asked to see whether the baby was facing the right direction. Usually ultrasounds aren’t given at a normal visit but because the patient load was low the nurse practitioner was really sweet and awesome, she consented on giving me an ultrasound. To my relief, it was confirmed that the baby was definitely facing downwards – exactly the way he should be. And to my surprise, during that same appointment, the Dr. announced that I was 1 cm dilated 100% effaced. Of course, as a warning, the doctor also said women could be stuck weeks at 1 cm. Also, she added, it’s common for women to have contractions after being checked for dilation, but they usually go away. So with this knowledge we went home thinking that we still had a lot of time until the baby would arrive. Around late afternoon of the same day I had my Dr’s appointment, I began feeling contractions. After what the doctor said, I ignored it. But soon enough, I began to see a pattern in my contractions. Not only did they last longer, but they came predictably and regularly. At around 5:30 pm, with each contraction, I started felling a slight numbing sensation. It was then that I finally messaged Andrew about how I was doing. After talking to him, I called the doula to ask for her opinion. She also stated that this often happens during routine exam of dilation and that I should wait it out and see whether or not it would go away in 24 hrs. Late that night, around 10pm-12am, as the contractions kept on coming, I finally downloaded an app on my iPod touch to time the contractions. Without a doubt, they were 5 minutes apart, lasted 1 minute and this occurred for 1- 2+ hours. I called Leigh again and told her how I was doing. She said that if I was definitely worried, going to the hospital was my best bet. So, I waited till Andrew got back at 11:00pm. When he entered through the door, I told him about my contractions. So, without hesitation, we started packing the bags in preparation to leave for the hospital. 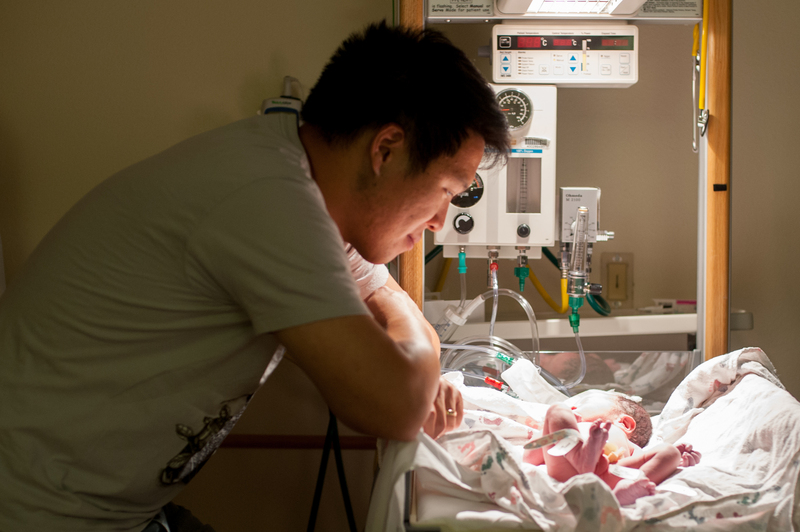 We didn’t expect that the baby would come one month early so we didn’t pack our bags earlier. While we were packing though, Andrew kept on looking at me and asked me how I was doing. The reason he asked was because I didn’t look at all like I was in labor. Because I seemed to be doing so well, Andrew suggested that I get some sleep. And if when we woke up and the contractions were still there, we would definitely go in the morning. So, that night, I ended up sleeping for 3 hours. When I woke up in the morning, the contractions were definitely still present. We would have stayed around longer if it wasn’t for the fact that I started to bleed a little. This was something that I was never told. Bleeding could mean multiple things. Firstly, it could mean that you were going into labor, and the other bleeding could also mean something bad. So, to be careful, we left for the triage. On the way, because I knew that we wouldn’t be able to eat when we finally stepped through the doors of the hospital, we stopped at Einstein Bagels for breakfast and I got myself a large Jamba Juice to keep myself hydrated. Arrival at Triage: Are you sure your in labor? After breakfast, we arrived at the triage around 10:00am. They brought me into a little waiting area and hooked me up for 1 hour to monitor to see if contracts were indeed regular. They also monitored the baby’s heart rate for about an hour. 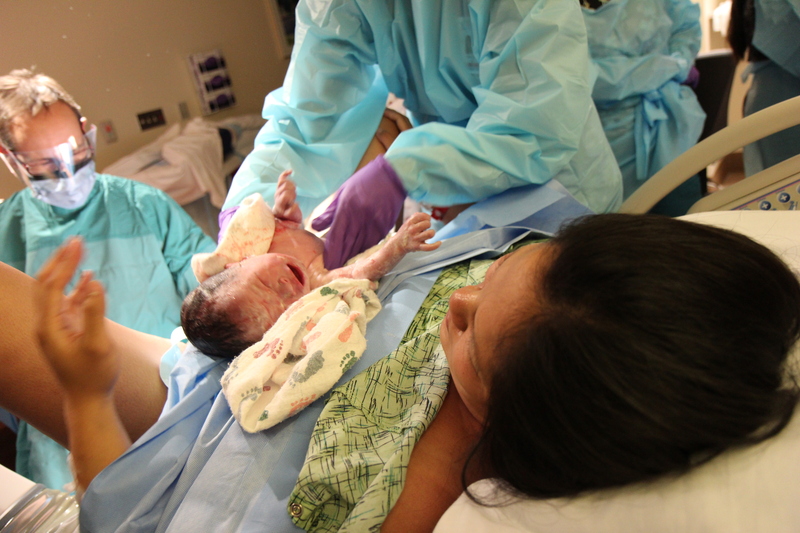 Looking at me, the nurse was definitely skeptical – perhaps, like Andrew said earlier, I didn’t look a woman in labor. They also reiterated that the office visit could have created false/Braxton Hick contractions. So after the hour ended, the report showed that my contractions were somewhat regular. The final check would be to see if I was actually dilated. To their surprise, I was dilated to 4.5 cm, 100% effaced and station -1. 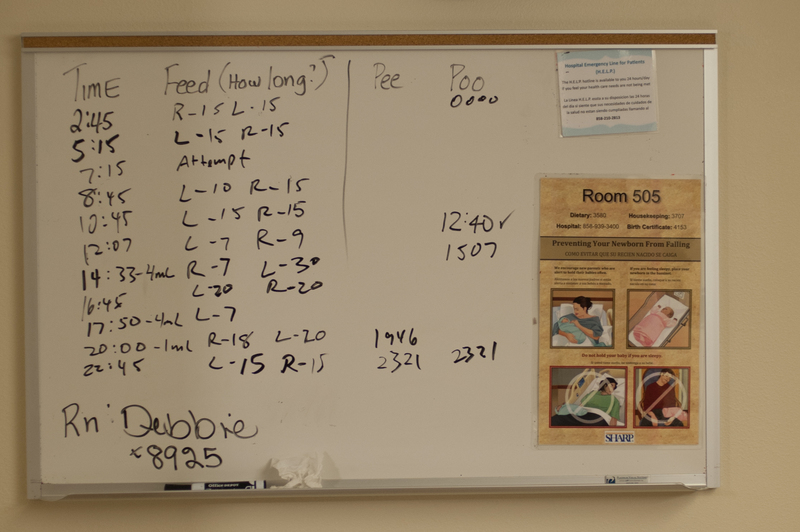 Apparently 4cm was the magic number to move onto the birthing room. With a smile, the nurse announced, “You’re staying!” After all the paperwork was done, we were admitted and moved upstairs. 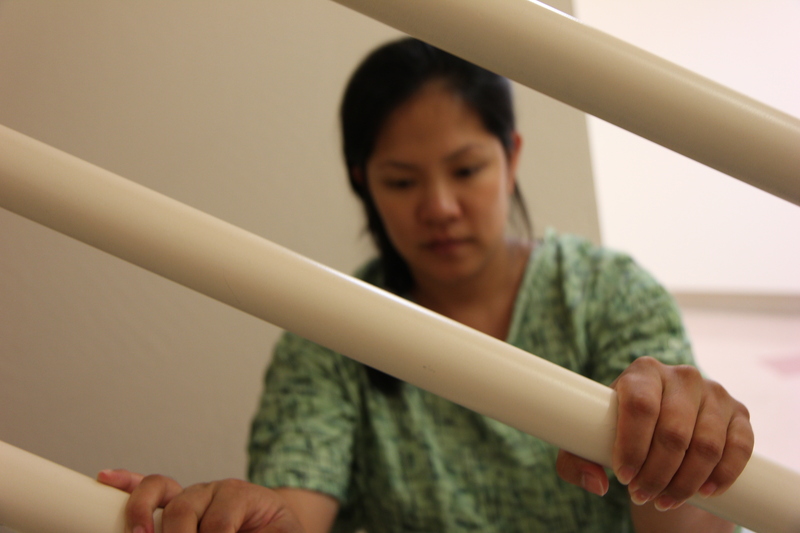 When we were finally assigned a room, we called Leigh, our Doula to come. She arrived not too long after. We walked around the hospital for a couple of hours. Went up and down the stairs. We did squats and lunges. I even walked with Andrew once. Amazingly, none of these bothered me as much. I usually hate stairs and get winded easily, but I guess I was running on adrenaline and was also looking forward to progressing forward that I just kept pushing forward, doing the stairs, squats and lunges. At about 3:30 pm, Dr. Saffer walks in and checks to see if we’ve made progress. From my demeanor – or lack of pain – my guess was that he was probably thinking, “she might need to go home because she doesn’t look like she’s in labor at all”. It didn’t help also that my contractions didn’t seem to improve much. So he informed me that if, after this check, if I wasn’t dilated enough, they would have to send me home to get some rest and then come back later when my labor has progressed further. This definitely wasn’t something I wanted to do. But, yet again, I proved them wrong. When Dr. Saffer checked my dilation, he was just as surprise as the nurse early that morning. By my demeanor and by how I was reacting to the contractions, I didn’t look like I was already at 6 cm., 100% effaced and -1 station. I was still smiling and looking quite normal. So because I was already at 6cm, the Dr. said I was for sure staying. But, to speed things up, Dr. Saffer recommended popping the bags of water. And so, he did. Nothing fancy, he literally took what looked like a large crocheting needle, and reached in to pop the water. I felt a large gush of warm fluid come out. Part of me was glad my water didn’t break earlier, what a mess it could have made. I battled every contraction as they came. At around 6pm, I was unfortunately still at 6 cm. Contractions definitely increased in pain. It got to the point where the pain started making my knees weak and legs buckle. To get through each contraction, we started switching into different birthing positions, trying different things out like swaying with Andrew and sitting on the yoga ball. All of these positions just made the pain more intense. I noticed that sitting down just added pressure to the pressure already there. In the end, I couldn’t find a comfortable position sitting and ended up resorting to sleeping on my side while I did my best to keep my breathing steady. In-out, in-out. It got me through each one. They asked if I could possibly walk, in order to get me more dilated, but at that point, I could barely stand up or use the restroom. My legs just felt weak. At 7:20pm, nurse Tiffany comes back to checks my progress and dilation. To my relief, I was finally making progress and was at 8 cm. One hour later, at 8:20 pm, she came back again to check and I was at 9.5cm. But somehow I was stuck. This was where we hit a bit of a snag. Dr. Saffer comes back in and when he checks me he tells me that my labor couldn’t progress forward to pushing because I seem to be stuck at 9.5 cm. And there were two things keeping me from fully dilating to 10 cm. Firstly because of my contractions and my body being over stimulated, I couldn’t go to the restroom. Because I couldn’t go to the restroom, my bladder was full, which kept the baby from moving forward. To fix this, they ran a catheter to empty my bladder out. Easy, problem one fixed. Secondly, the more difficult one, was that one lip of my cervix was in the way and therefore obstructing the baby’s head from coming through. Apparently this is a common problem that many pregnant women face. But, to fix this, the Dr. suggested that while I push, he’d reach in to clear the baby through. So, when the next contraction came, he told me to push while he reached in to get the baby passed that second obstruction. I imagined this part hurting quite a bit but I was actually already so over stimulated by the pain of the contractions that at this point, any added pain was really not felt. Perhaps it’s just me. But because these two bumps were resolved, I felt the baby immediately dip down and I could definitely start feeling him crowning. After this victory, I thought that I would be ready to push, but the Dr. said he had to walk away to see another patient for a C-section. I didn’t know when he would be come back. This was the more frustrating part because all I could do was wait. They were also waiting for me to feel the urge to push – or more so, to be at the point where there was enough pressure for me to feel like I was ready to push the baby out. This waiting period was probably one of the more difficult points of labor because I was so ready to get the baby out. I was so tired between contractions. I really wanted to sleep but I couldn’t because of the pain. The contractions were getting so difficult that each time they came, it would take my breath away before I could control it again. At one point, I almost felt like giving up – due to sheer exhaustion – but I had to conquer that thought and push myself to think that I was almost there, only a few more hours and the baby would be out. I would finally get to see my little one. I prayed for strength because I definitely was so tired and so weak at this point. They said it was now up to me to signal them that I was ready to push or felt enough pressure that I had to push. But of course, that wasn’t so simple because I couldn’t push or deliver the baby until the Dr. was available to deliver the baby. At around 9:40 pm, what seemed like an eternity, Dr. Saffer finally comes back and asked if I was ready. I told him “yes, I believe so”. With those words, the whole room changed before my eyes into a “deliver the baby room”. He then looks at me seriously and throws another curve ball at me. He continues to tell me that as they were monitoring the heart rate, they noticed that the baby’s pulse would dip down at each contraction. This means that there is probably a cord wrapped around his neck. Because of this (and I guess my choice of natural birth) there were only two options left for me. One, the doctor can do a vacuum assisted delivery or I would have push the baby out myself. Of course he didn’t leave me much of a choice, and I remember saying that. I finally gave them the “I’m ready”, or more so the “I think I’m ready”. So with these words the Dr. said, “let’s get this baby out”. Suddenly the whole room changed again before my eyes. All the staff arrived, both for me and for the baby. There were additional people due to the fact that the baby was a preemie. They were on standby just in case anything was wrong. This was the signal that I was to push whenever I felt the contraction come. After so many hours of the contractions, I was already so over stimulated and tired, honestly, I couldn’t feel what were contractions and what wasn’t. I actually asked “am I having a contraction”. The nurses of course laughed. They said that they’ve never seen a person ask whether or not a contraction was here or not. So, doing my best, whenever I felt the peak of the contraction, I said I’m ready. This was, probably the hardest part of the whole labor. I pushed with every fiber of my being but I felt like there was little fruit. Even when people were encouraging me that I was doing a good job, I didn’t feel like there was progress. It didn’t help also that I was pushing wrong. Also apparently my bit of moaning didn’t help the matter either. I just wanted progress at this point because I was so tired. I tried resting in between and even skipped a few contractions – which wasn’t the greatest idea because I was already so tired and still had to get my breathing aligned to get through the contraction itself. When I pushed again and again I was praised for getting further. People were telling me one or two more pushes and I felt like they kept on saying that even though I didn’t feel it. My legs were shaking and buckling, I was on the brink of leg cramps, my arms were tired, I was without sleep & energy, I didn’t know how much longer I could go on. Despite all of that, I knew I had to get the baby out. With more pushing, and more encouragement, after pushing for about 2.5 hours, I finally felt that he was almost here. With the steady coaching of the nurses counting down for me and telling me when to push & breath, I used all the last bit of my muscle strength and energy and felt the baby slide out. It was the best feeling ever. In no time, I heard the baby cry. I believe one of the first things I asked whether it was a boy or a girl – part of me was still hoping for a girl. But, of course, without a doubt, it was a boy. But despite this minuscule letdown, an all encompassing feeling of relief and contentment – finally coming to terms that we were having a boy – poured over me. It was a joyous feeling to know that Aiden was both well, alive and finally out. After Aiden’s arrival, they put him directly on my belly and began sucking out any liquid that might still be in his lungs while Andrew got to cut Aiden’s umbilical cord. After that, because he was a preemie, they whisked him away to quickly check his vitals and clean him up a little. Not too long after, they came back to put him directly on my chest – so his body temperature could warm up. The nurses then guided him to my chest, and without any hesitation, Aiden opened up his little mouth and latched on like a pro. It was like he knew who I was. He grabbed onto my face and my finger and it was the most wonderful feeling in the world. 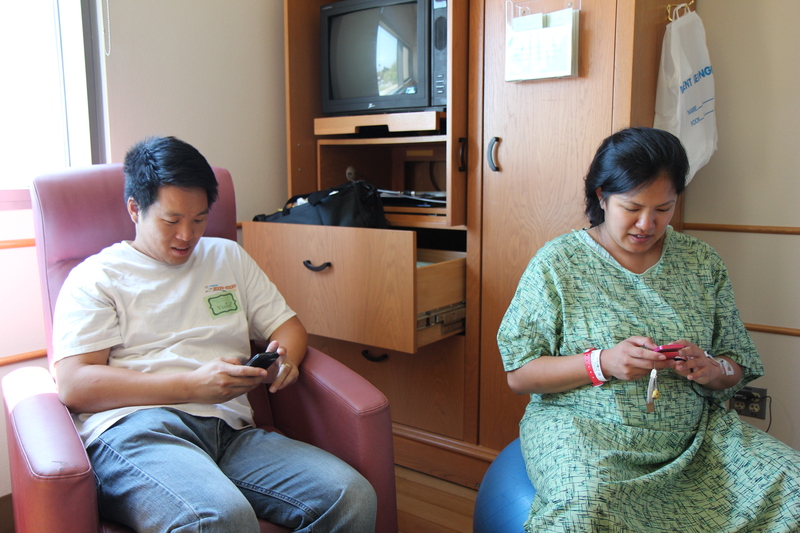 After the baby was out, we waited awhile until I was ready to relocate to the room we will be in for 2 days. 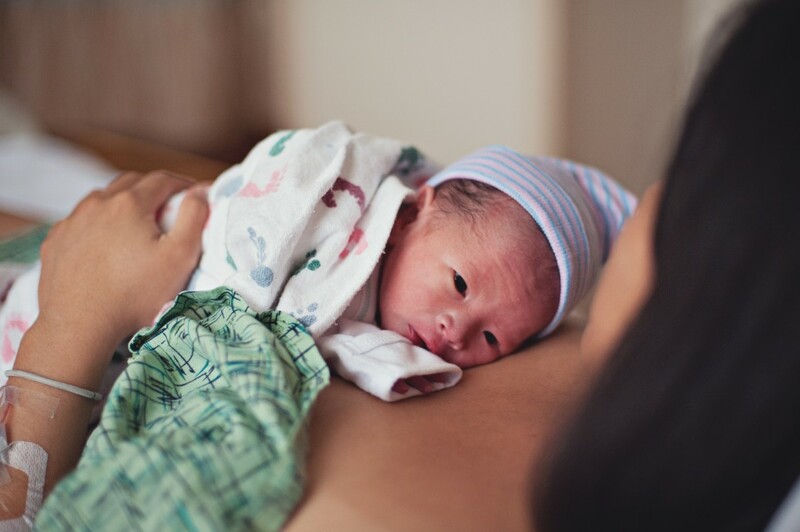 I was euphoric – both due to the lack of sleep and just having Aiden finally here. WE WERE FINALLY PARENTS! My parents-in-law came bearing food. I didn’t feel hungry at first and welcomed whatever they had with open arms. When I opened my mouth and took I bite, I finally noticed how famished I was. After one hour or so, I was finally ready to move. We packed up all our stuff and went upstairs to our room. The baby slept very well that night. For me, there was little rest because I had to wake up quite often as the nurses came in and out to check my vitals and how I was doing. We had no idea what we were doing and took things one step at a time. I was feeding Aiden every 2 hours and pumping after each feed. We watched for him to pee & poo and recorded all the times (Did you know that their poo is black at first? After a little less than a week, it becomes normal). 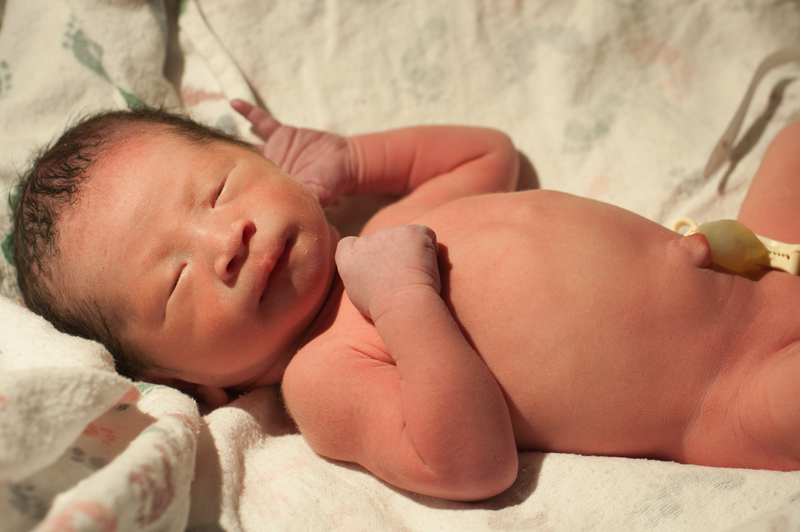 Because he had a potential for jaundice – due to the little bruising he acquired, on the top of his head during delivery – we were even more paranoid. The first day we were there some of our closest friends came by and visited. I even got my first taste of sashimi – thanks to my parents-in-law. One by one we took photos and smiled and talked. Things were so easy. Of course it wasn’t so easy that next night. This is the part I believe most new parents don’t share or perhaps forget. But while we were in the hospital, after the second night, Aiden lost 8% of his weight. That second night, usually for the first child, is one night that parents have probably selectively forgotten. That terrible 2nd night was a night of no rest and comfort for a starving baby. I guess it was sort of a prelude to the upcoming sleepless nights – although, thank God, there weren’t that many of them with Aiden. I remember it was the first night I cried. I was pumping religiously but all I could get was, what seemed like, a few drops of colostrum. It didn’t seem enough to satiate. We cheated a bit and gave him more of the glucose water than we should have. But… we were so desperate. He cried his little heart out because he was so hungry and supposedly disoriented. But like all parents, we survived. The next day, after getting the carseat installation checked by the nurse, we were discharged and brought Aiden into our little home for the first time! 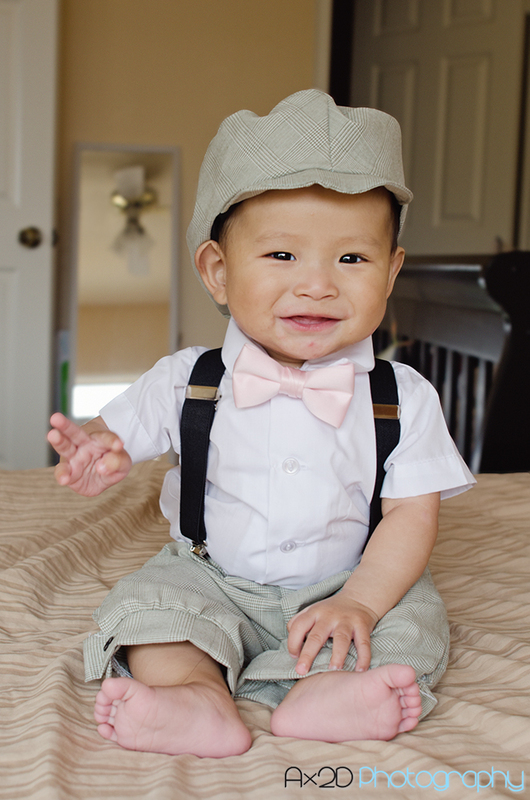 Even though Aiden was a preemie by 4 weeks, he surprised the doctors that have seen him. Most of them usually forget that he’s a preemie. It’s definitely been a wild ride. When I look back at it all, I would do everything over again (minus having the stupid IV for strep..) After all the hard work of carrying the baby (which thank God, was easy for me) and going through a unmedicated/natural birth, it was totally worth it! Of course it doesn’t end there. Everyday is a struggle, but yet, everyday is also a blessing. 🙂 It’s a love hate relationship. I love this little guy SOO much but yet… I hate that I haven’t had much sleep this past month… but I guess that’s what parenthood is all about. Taking things one day at a time, one stage at a time, one growth spurt at a time. 2) Have a birthing plan if you need a sample, please feel free to email me 🙂 ([email protected]). Things like “don’t ask me if I’m in pain”, “no constant monitoring” or “no vacuum or forceps assisted delivery” can be very important if you are planning to do natural birth. 3) Things don’t always go as planned and things could easily get difficult. But as long as you have a good support team that is willing to work with you through every problem – especially a doctor that respects your birth choices – things will be fine. Take things one step at a time and one stage at a time. 4) Our bodies were very much made for birth. I never knew how much until I experienced it myself. Learning proper breathing – deep breath in and slowly blow out – was one method that worked for me. I was never really taught it but my body knew what to do. Having good concentration and a good breathing technique makes a whole world of difference in managing the pain. It’s what gets you through each contraction. Finding that quiet place… finding that way to be in the zone. 5) 2nd night nightmare… it’s totally worth it to have someone with you during the first two nights. In addition to the nurses coming in every hour or so, the baby, who was sleeping so well the first night, may not be sleeping so well the second. On the contrary, he/she may be up every hour crying and screaming because they’re hungry, wet, just pooped and still disoriented from having come out of the womb just the day before. Not only that.. you may not have enough collestrum to keep the baby satiated (even though it is actually plenty enough because their stomachs are so small but it also digests really fast and that’s why they wake up every hour). It was the first night I cried.. I was exhausted and I was so sad that he was crying so much and I couldn’t do anything. 6) Sleep… no sleep for the first 2 days if not the first week or month or so, but your body adjusts itself in a month or two. Take as many naps as you can. Forget about cleaning the house, hire a maid.. hahah. Or… if your MIL or your own mother is available.. have them stay with you for a month 😀 I recovered so much faster because of their help with cooking and their company. 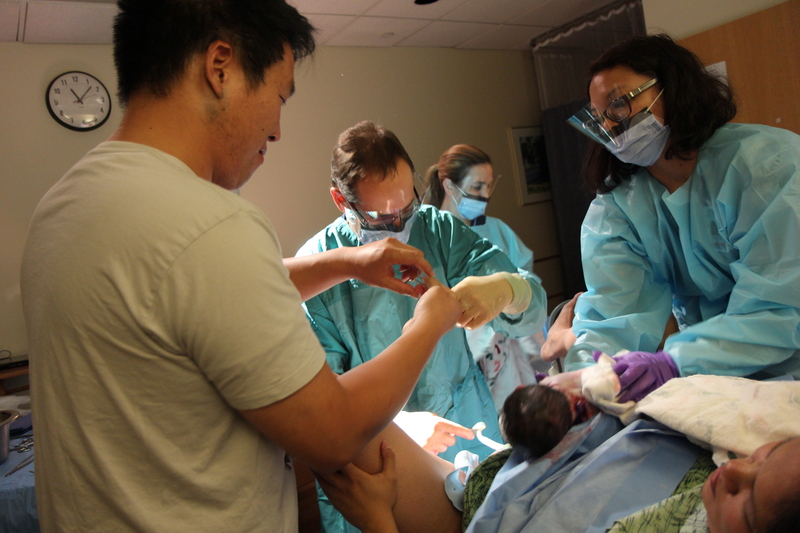 7) Hire a doula, at least for the first time. She as a great intermediary person between me and my husband. Most of all, if it wasn’t for her, I probably wouldn’t have progressed like I did. She walked with me up and down stairs.. coached me on squats and lunges. Although I felt like I was able to be in control without much help and, in the end, the only position that really helped me and made me comfortable was on my side and in a sorta of fetal position, she was an awesome photographer and documented the whole experiences wonderfully! 8) Take a birthing class if you aren’t going to hire a doula. 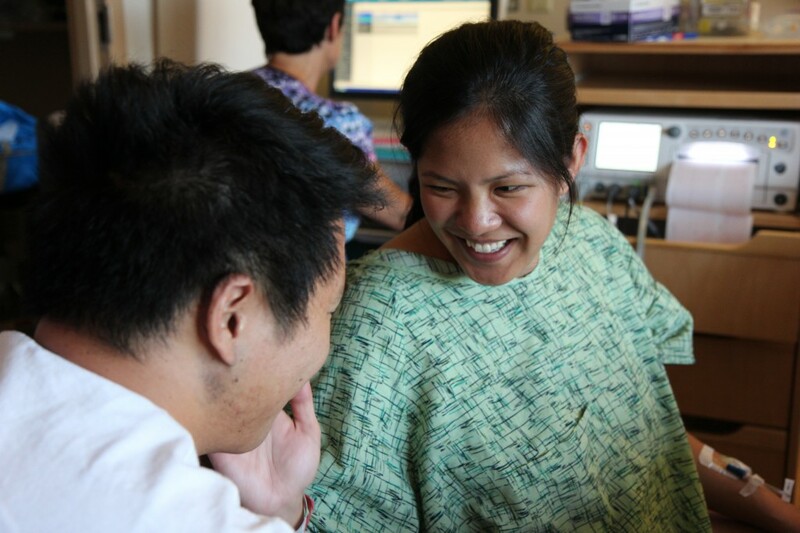 We didn’t get to learn as much from our doula as we wanted to but because of the birthing class, i knew what to expect and look out for in terms of labor. If it wasn’t for that Saturday and Sunday class at Grossmont Sharp Hospital, I wouldn’t have known to keep an eye out for my contractions being 5 minutes apart, lasting 1 min long and continuing for 1+ hr (or for me.. it lasted almost a whole day in change). 9) Broken vessels on the face.. yup 🙂 if you look at some of the photos, I had little red dots all over my face. Hahha never knew that could happen but it did. 🙂 It was from all the pressure and intensity of pushing the baby out 🙂 Fun huh?